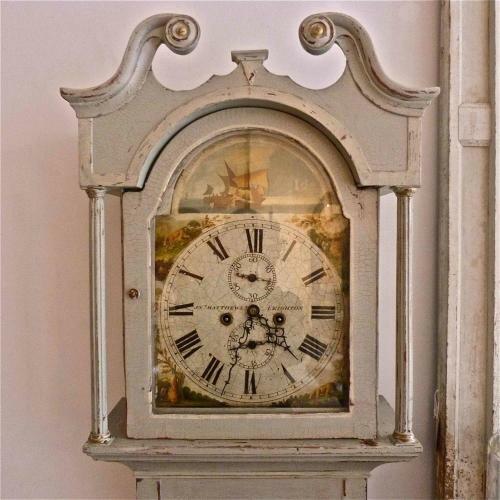 Beautiful early 19th century 8 day English longcase clock by J. N. O. Matthews of Leighton. The clock has an elegant crest, neoclassical columns to each side and features an original painted dial, with smaller seconds dial & date dial. The clock is in excellent working order and comes with a 1 years movement guarantee. Circa 1820.